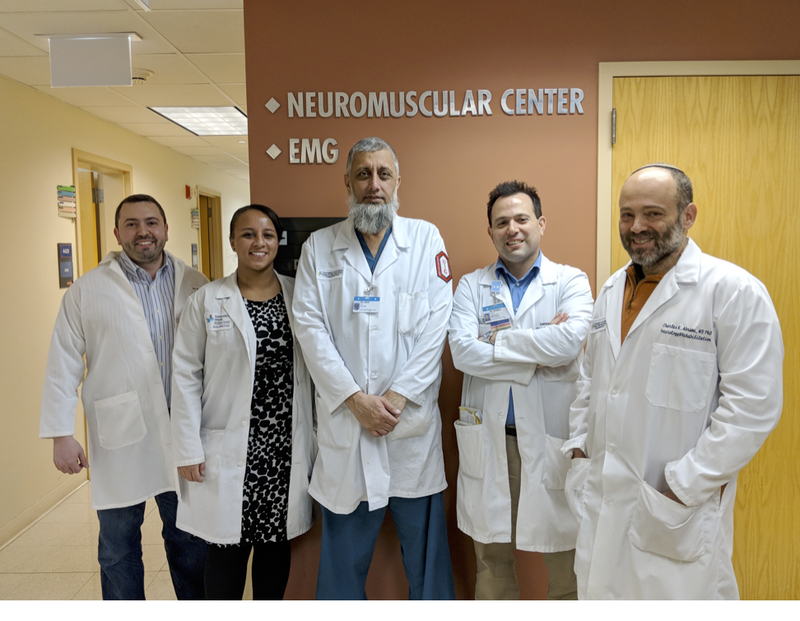 The Department of Neurology and Rehabilitation at UIH has undergone a major change in the last 6 months. In continued pursuit of clinical and academic excellence, University of Illinois has partnered with Schwab Rehabilitation Hospital to provide rehabilitation services and add a new academic partner in the residency training program. Schwab residency program was again ranked in the top 10 best physical medicine and rehabilitation residency programs this year. Many of the Schwab physicians now have academic, and are seeking clinical appointments at the University of Illinois. All Schwab physicians are board-certified and most are subspecialty certified in areas such as spinal cord injury medicine, brain injury medicine, sports medicine, and pain medicine. Schwab Rehabilitation Hospital is located 1.4 miles away from the University of Illinois Hospital. There, Schwab offers comprehensive inpatient rehabilitation services, both acute and subacute (skilled) rehabilitation services. There is a physician on site at Schwab 24/7. Schwab has multiple outpatient specialty clinics, including spasticity management, spinal cord injury, stroke, amputee care including prosthetic management, and evaluation for inpatient stays. Schwab additionally has comprehensive outpatient therapy services including neurologic therapy, musculoskeletal therapy, hand therapy, urogynecologic therapy, as well as pediatric therapy services. Inpatient rehabilitation programs include medically complex patients (post ICU care, transplant, multisystem failure, and multiple trauma), brain injury (both traumatic and nontraumatic), stroke, amputation care, spinal cord injury, and a multitude of other disabling conditions. Our subacute (skilled) hospital-based program offers short term rehabilitation services for individuals who need more inpatient rehabilitation before going home, but, do not want to go to a nursing home setting. The challenge that we are all facing in terms of accessing rehabilitation care is the duality of the push for a short length of stay by hospitals, with, the lack of responsiveness by insurance companies to approve rehabilitation services in a timely fashion. We have set up meetings with many of the Medicaid managed care providers in Illinois to discuss this issue. Overall we are incredibly proud of the services we provide at Schwab. Between 75 and 87% of our patients go home after their inpatient stay; this includes from our subacute unit as well as well. The functional gains at our patients make match those from any other rehabilitation Center in the region. We are excited to become a part of University of Illinois. We look forward to getting to know everybody better, making you comfortable with Schwab, and, our providers an integrated part of University of Illinois. The current team of Schwab providers at UIH includes Dr. Nupur Saxena, Schwab faculty for over 7 years, Dr. Marika Greiff, and, Dr. Monique Diaz who is the full-time clinical informatics fellow at University of Illinois.